Attention focused by the #MeToo movement on high profile conductors including Daniele Gatti and Charles Dutoit has once again raised the question of whether alleged activities away from the podium should negate the value of what a musician achieves on the podium. This is certainly not a new question; but in the past it was ideology rather than intimacy that blighted musical legacies; with Wilhelm Furtwängler, Herbert von Karajan, Hans Knappertsbusch, Karl Böhm and Clemens Krauss among those whose reputation suffered due to ill-advised political dalliances. Classical music is a transcendent art, so it is no surprise it shares with spiritual teachers a history of debunked leaders. Among the many spiritual leaders who have been found to have toes, if not feet, of clay are Cardinal Donald Wuerl, Bhagwan Shree Rajneesh, Chögyam Trungpa and Shimano Roshi. But in a memoir touching on the life of the controversial mystic and Sufi teacher Reshad Feild, author Bruce Miller makes the thought-provoking observation that in the barzakh - the realm in mystic Islam where the soul resides between death and resurrection - the unity of teacher, sinner and saint freely co-mingle. He goes on to explain that in the barzah, the teacher is neither sinner nor saint, but their teaching simply occupies the space in between those two polarities. In support of his viewpoint Bruce Miller offers the quote that "Judging a spiritual teacher by what you assume them to be their role or how you expect them to deliver it only mirrors your personal expectation of such a relationship. How can anyone be seriously surprised that a teacher is also a human being?" He goes on to report his refreshingly untarnished mentor Bhagwan Awatramani as explaining that 'Becoming a spiritual leader is the ultimate trap'. Many great musicians have inhabited that space between heaven and hell where saint and sinner intermingle. Pau Casals declared that "A musician is also a man, but more important than his music is his attitude to life". But if Wilhelm Furtwängler was around today, he would doubtless counter this by explaining that 'Becoming an acclaimed conductor is the ultimate trap'. The debate about Furtwängler's Nazi links is well past its sell-by date, so it will not be rehearsed again here. Instead I will revisit his recorded legacy as captured in the boxed CD set in the header image. 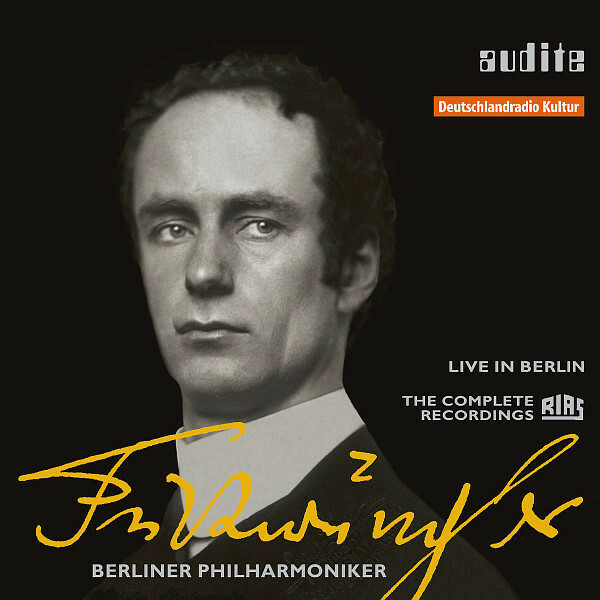 Furtwängler was cleared by a de-Nazification tribunal in December 1946 and four months later conducted his first post-War public performance with the Berlin Philharmonic, a programme of Beethoven's Fifth and Sixth Symphonies. This and subsequent concerts were broadcast and recorded by 'Radio in the American Sector' (RIAS), a US funded station countering Soviet propaganda broadcasts. As the original Philharmonie had been destroyed by Allied bombing the orchestra's post-war home was the Titania-Palast, a 2,000 seat cinema built in 1928. RIAS recorded and broadcast Furtwängler's post-war concerts from the first one onwards. Very fortuitously these recordings were made on reel-to-reel tape running at 76 cm/s. Although almost all the recordings in the Audite box seen above have previously been available commercially, these earlier releases originated from off-air recordings or from second-generation slower speed copies of the master tapes. The Audite set is the first time the original master tapes have been used; this certainly shows in the sound quality which is far superior to other archive material dating from this period. It is worth pointing out that, despite the privations of immediate post-war Berlin, the audiences are far less bronchial than those at today's BBC Proms. And the visceral string tone captured in the two Handel Concerto Grosso remind us that it is the music-making and not the designer concert hall that matters. There are 12 CDs in the set plus a bonus CD of a German interview with Furtwängler dating from 1951. Musically the content is surprisingly varied: Beethoven predominates with two Eroicas and two Pastorals plus Yehudi Menuhin's well-known performance of the Violin Concerto. Bruckner - a stunning Eighth Symphony - and Brahms, Schumann, and Wagner (forget the backstory, the Prelude to Die Meistersinger is simply sensational) are also among the composers programmed. But in addition there is Gerhard Taschner playing Wolfgang Fortner's Violin Concerto, Boris Blacher's Concertante Musik für Orchester, and Paul Hindemith's Concerto for Orchestra, Op. 38 and Symphony 'Die Harmonie Welt'. Plus, as a bonus, a wonderfully inauthentic Bach D Major Orchestral Suite. The unblemished Theravadian Buddhist teacher Ajahn Sumedho explained "But the idea of a normal person is a fantasy of the mind. Do you know any really normal people? I don’t". This post does not judge Wilhelm Furtwängler against the spurious concept of 'a normal person', or as saint or sinner. Instead it draws attention to profoundly moving performances from his later years that vividly illustrate how becoming a great conductor is the ultimate trap. Sinner perhaps: but just as I would not be without Chögyam Trungpa's Cutting Through Spiritual Materialism and Osho's The Discipline of Transcendence series, so I would not be without Furtwängler's RIAS recordings. Furtwängler's RIAS recordings was purchased from Presto Classical; please support independent classical retailers. New Overgrown Path posts are available via RSS/email by entering your email address in the right-hand sidebar. Any copyrighted material is included for critical analysis, and will be removed at the request of copyright owner(s). I was pleased to see you mention supporting independent retailers. I use Presto myself, from time-to-time. However, I see that MDT called in administrators last week - a great shame as I have always found them competitive and reliable in the past. So, apart from Presto, there is really only Europadisc left? Perhaps we should find out just who can supply 'physical media' nowadays, apart from Amazon? Mark, thanks for that, and thanks, in these days of micro attention spans, of reading right to the end of my posts - including the small print. Any recommendations from readers about independent alternatives to Amazon are very welcome. Not sure what's going on here, but the newly released Furtwangler RIAS recordings are not available at Presto Classical site when I go there and search "Furtwangler". Best option is to just go straight to Audite's own site. If I were Norman Lebrecht I would boast that as a result of my post On An Overgrown Path readers cleaned Presto out. But I'm not; so please add as comments more non-Amazon sources for this very desirable box. My personal experience if that there is a break point below which the sound quality of archive recordings precludes them from any serious listening. Thankfully the Audite RIAS discs are considerably above this break point. Reports on the DG remasters when released would be appreciated.